Google might still be too big for EU's liking. 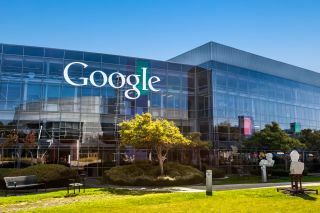 Google may still face a break-up of some of its properties in the European Union, reports have claimed. Reuters is reporting this Monday morning that the EU is still worried about Google's dominance and that the possibility of breaking it up into smaller companies is not yet ruled out. It seems as this consideration has been confirmed by the European Commissioner for Competition, Margrethe Vestager. This is not the first time Google has been on the EU's radar. Last year, it was fined €2.4 billion for favouring its own shopping service in its own search engine results. Now, the EU is drafting a bill that will force e-commerce sites, apps and search engines to be “more transparent” on how they rank services when they offer search engine and similar results. The Commission is looking at different aspects of how Google does its work. It is investigating if Google has reduced choice, or limited innovation regarding mobile apps and services. A similar investigation is being led around advertising on its network. "The important thing is that people can understand what is going on.,” Vestager said back in October 2015. “The Google case is about misuse of a dominant position, to promote yourself in a neighbouring market not on your merits but because you can. And no matter the course of the case, there should be a takeaway which can be understood,” she says.